The final story in the Oracle sequence. We are again in the distand land of deserts and islands ruled by one god whose wishes are conveyed through the Oracle. The Archon, child god-on-earth, returns from his journey across the desert to the Well of Songs, to find the tyrannical General Argelin has siezed control and his reign of madness is oppressing the Two Lands. He has publicly denounced the gods, and established a reign of terror. Mirany is in hiding, and the Nine are scattered. Will Argelin's obsession bring the Rain Queen's wrath down on them all? 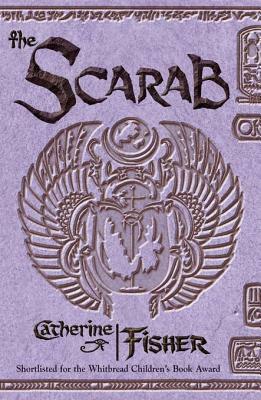 And whose is the sinister new power hidden in the sign of the Scarab? In the descent into anarchy, Mirany and the Archon must attempt the final, impossible journey of the soul. Through the Nine Gateways into death. And back.